Wendron stock high quality spares, parts and accessories from high quality brands. As well as making sure your stove is running safely and efficiently, we stock £120,000 worth of spares across our ranges. Our experienced staff are just a phone call away who will be able to make sure you order the right replacement for part for your stove. Wendron Stoves provide the most comprehensive collection of stove accessories, care and maintenance products from well known brands. We stock everything from stove glass cleaner to stove paint, Eco fans to compaion set, log baskets to Co2 alarms. Everything we sell will maximise your enjoyment from your appliance and will compliment your stove. If you don’t find what you are looking for, pop in and see us in Helston or Truro for our full range or contact us on 01326 572878. 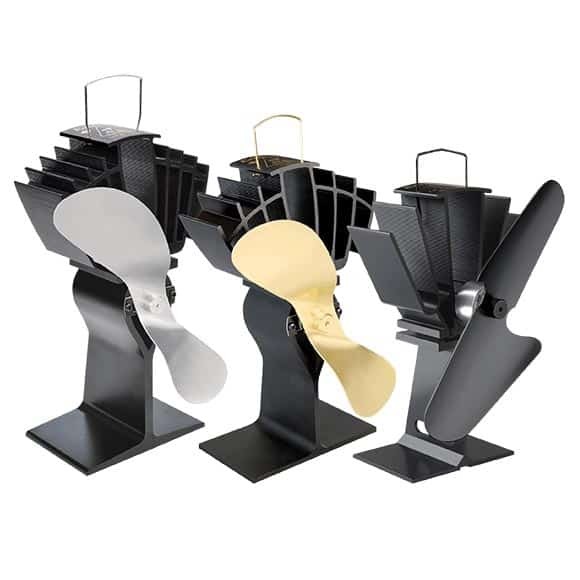 The airflow created by an Ecofan can help you feel the heat from your wood stove up to 38% faster. Ecofans are designed to sit on top of a free-standing wood stove and create their own electricity without using any household energy or batteries. Take a look at our extensive range of log baskets, ranging from the traditional wicker basket to the modern and beautifully crafted metal work log stands. Great range of cleaning products for your wood burning or multi fuel stove. 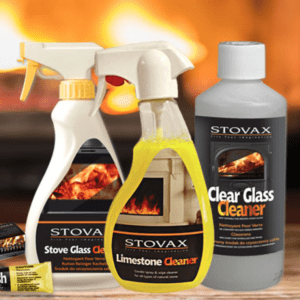 Including glass cleaner, stove paint, stove polish and slate oil from top of the range manufacturers. Keep your stove looking brand new. 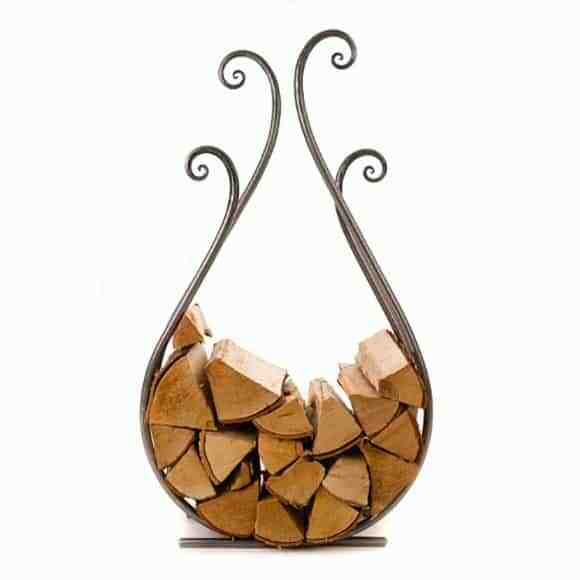 Keep your fireplace tidy with this stylish match holder. 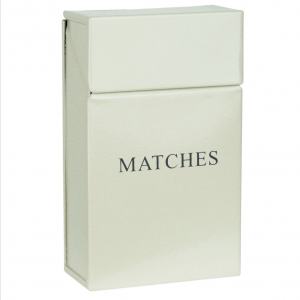 With its hinged lid and metal body, it is perfect for storing your matches by your stove or fireplace. 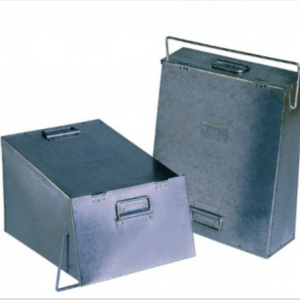 These galvanised containers can be used for safely, and cleanly storing hot ash and embers before disposing of them. 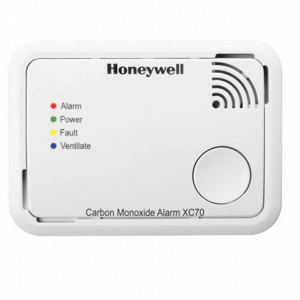 A good quality, functioning smoke alarm and carbon monoxide alarm in the home is an absolute must. Smoke detectors can save lives and early detection can also save your home if you act quickly. 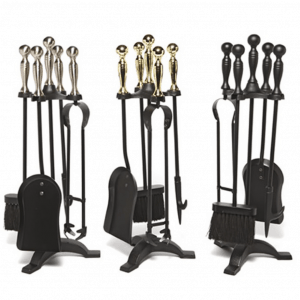 A fireplace companion set compliments any open fireplace or wood burning stove. consisting of three or more tools with an attractive stand. We have a wide range of styles available. 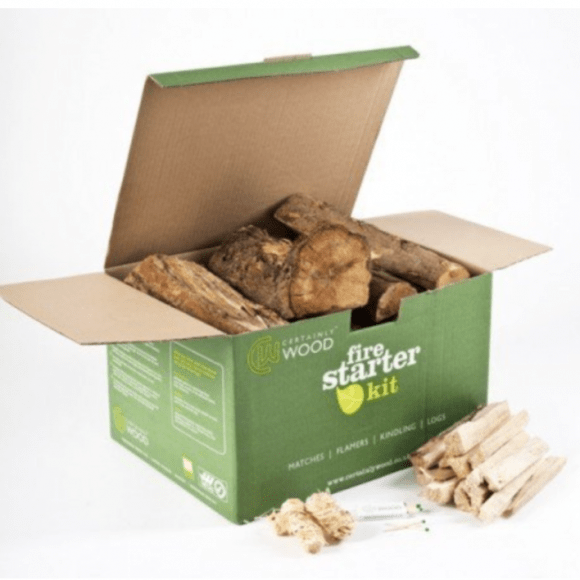 Certainly Wood Starter Kit Contains 100% quality assured British kiln dried hardwood, Kiln dried kindling, Flamers natural firelighters and everything you need for the perfect fire.